Keira Knightley's stalker has had troubling effect on the actress. Keira Knightley recounts terrifying experience with stalker: "I am scared every time I go outside". 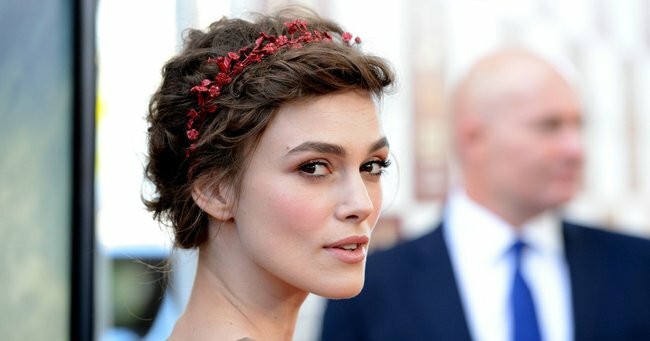 British actress Kiera Knightley has opened up about just how severely a stalker has affected her life, revealing that she is “scared every time I go outside”. Musician Mark Revill, 49, pled guilty in a courtroom in November to stalking the actress at her house in north London, according to The Telegraph. In a victim-impact statement read aloud by her lawyer, the 31-year-old revealed just how the three months of terror, which included Revill leaving bizarre pictures of cats in her mailbox, affected her. Keira Knightley (Image via Getty). "[Revill&apos;s] actions have had a severe impact on my life and the lives of my family," Knightley&apos;s statement read, per The Telegraph. "This man has caused me a lot of stress and panic. I am scared every time I go outside. "When I return home I have to look behind me concerned, I don&apos;t know who might be on the shadows." The man, of Hackney, East London had said he was in love with the star, and the court heard he regularly visited her home, delivering hand-written notes, a USB containing images of cats, and drew an arrow on the pavement pointing to her front door. In the wake of the harassment, Knightley has decided to move elsewhere despite loving their London home, according to her statement. "I have had fan mail through the door in the past but never has it been God strange or concerning," she explained. "The thought of him being on the other side of the door has left me quite shaken." The star said she "wouldn&apos;t know what to do" if she saw him again and feared not being able to get away if he chased her. "If I was with my child we wouldn&apos;t be able to run away easily. The thought of my daughter being at risk is my worst nightmare." The judge gave Revill a restraining order, banning him from contacting the family, in addition to an eight-week suspended sentence. He was also ordered to participate in a six-month mental health rehabilitation program.